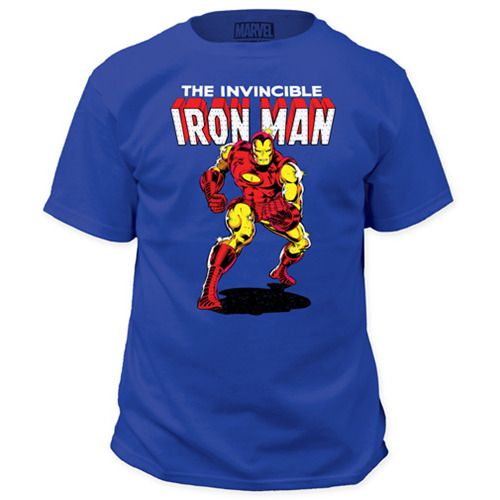 Iron Man from his Eisner Award-winning The Invincible Iron Man comic book days looks great on this The Invincible Iron Man Classic Comic Look Blue T-Shirt. Tony Stark would buy one, and so should you! Choose from sizes S, M, L, XL, XXL, and XXXL.